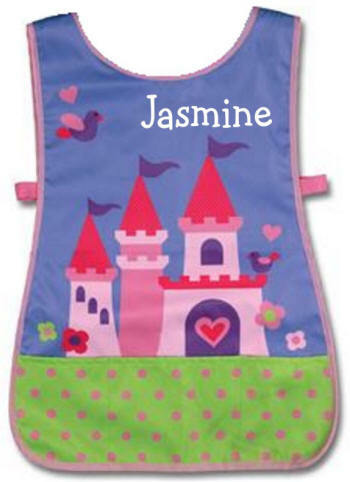 Fabulous princess castle art apron is ready for her creativity to begin. Apron has velcro tabs that easily attach to the back and three pockets on the front. Delightful castle design will be accented with her name or monogram. Screenprinted polyester.